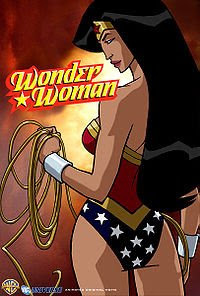 Wonder Woman is a 2009 direct-to-video animated film focusing on the superheroine Wonder Woman. The plot of the movie is based loosely on George Perez' reboot of the character, specifically the "Gods and Mortals" arc that started the character's second volume back in 1987. It is the fourth in the line of DC Universe Original Animated Movies released by Warner Premiere and Warner Bros. Animation.